Before you braai, give your grid a good spray of non-stick-spray. (This is the same stuff you’ll use on dishes that go into the oven.) You might find grease and other food leftovers will be easier to remove afterwards. If you’re using a “skottel”, line it with kitchen foil before use. This will contain most, if not all, of the leftovers from braaing. 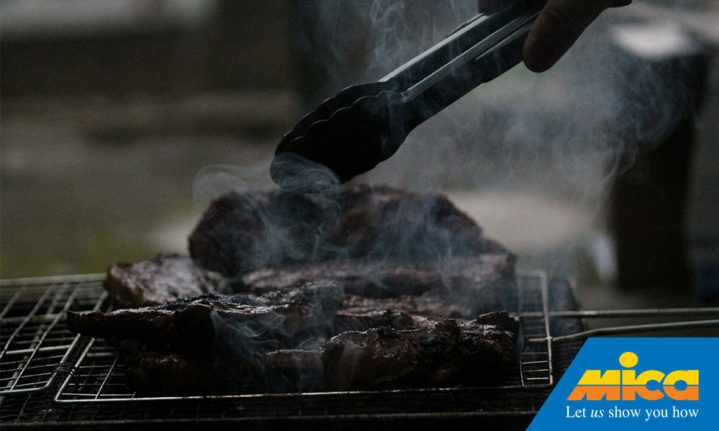 It also saves on your cleaning time – provided you handled the tongs carefully and didn’t tear or puncture the foil. If you have one of those large braais with a drip tray, line the drip tray with kitchen foil as well. Make sure you make a hole over the drain hole, and then lining the cup that slides in under the drip hole, so you don’t need to clean that either. This DIY tip is brought to you in association with Mica.